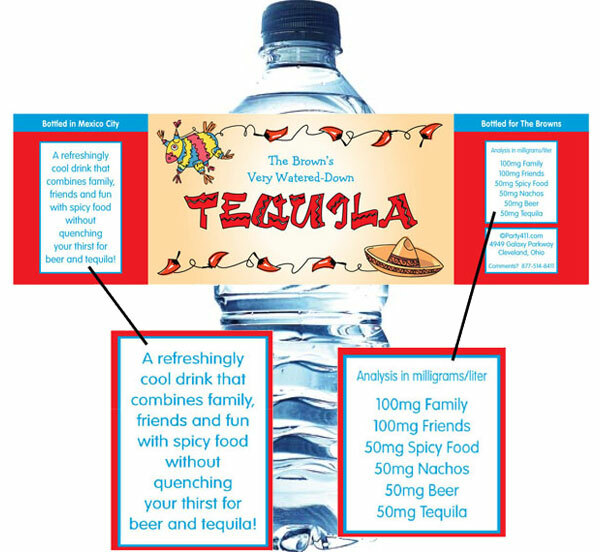 Fiesta theme water bottle labels are the perfect fiesta party favor! 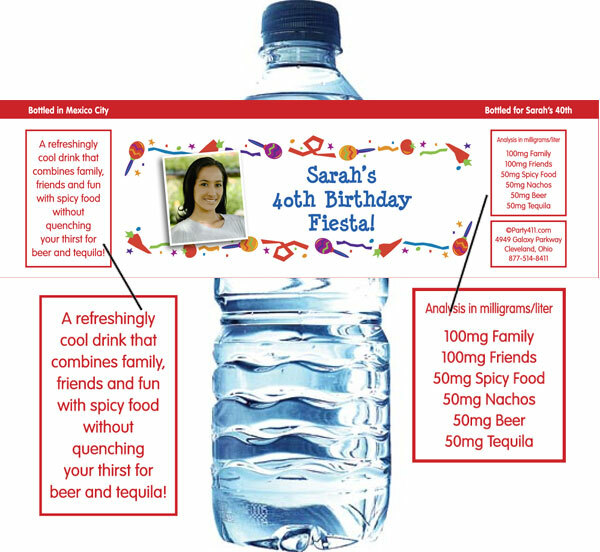 Customize the message on these water bottle labels with fun fiesta theme wording. Add them to your buffet, welcome bags, the bar or set them on the tables. Be sure to offer margaritas and water!